I don't know about you but I always have my smartphone with me when I go shopping, eat out or hang out with family and friends. I use it as my address book, calendar, photo album and more. Sometimes I wish that I could just take my phone in with me at the store and leave my huge purse in the car. Guess what? Technology is catching up with my dreams. I participated in an Influencer Activation Program on behalf of Mom Central Consulting for Isis Wallet. I received a promotional item to facilitate my review. There is a new smartphone app called Isis Wallet which is a free mobile wallet app for Android and IOS users. For the IOS Apple 4s, which is what I own, I have a sleeve which looks just like a phone case and is needed to use the app. Installing of the sleeve, downloading the app and registering my account took all of 5 minutes and I was out the door with my phone to go shopping. The wallet is compatible with American Express, Chase or Wells Fargo cards. It is super easy to add the cards into your app. The enhanced SIM card protects your payment information. My smartphone is now even smarter with its tap and go contactless ability to pay. 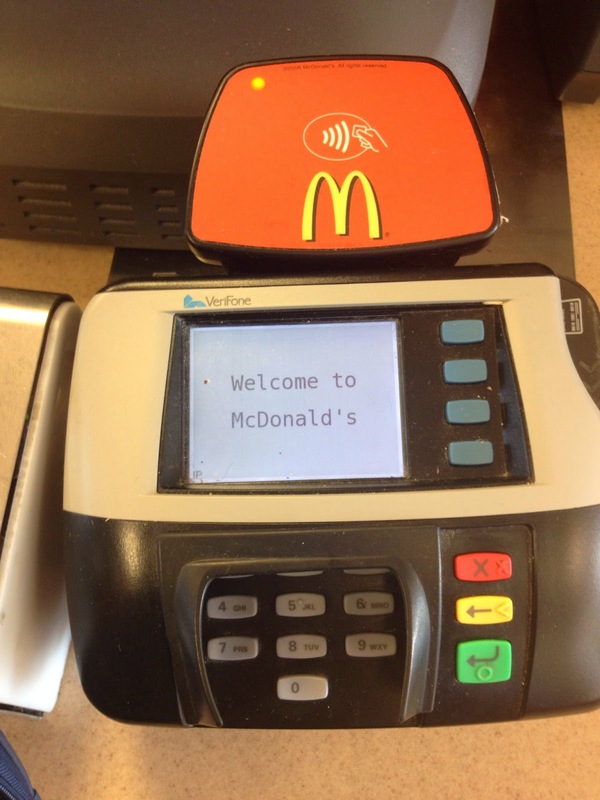 It is super easy to Pay with Isis and places like Toys 'R Us, Walgreens, McDonalds, vending machines and more! I have used mine at Walgreens and McDonalds. 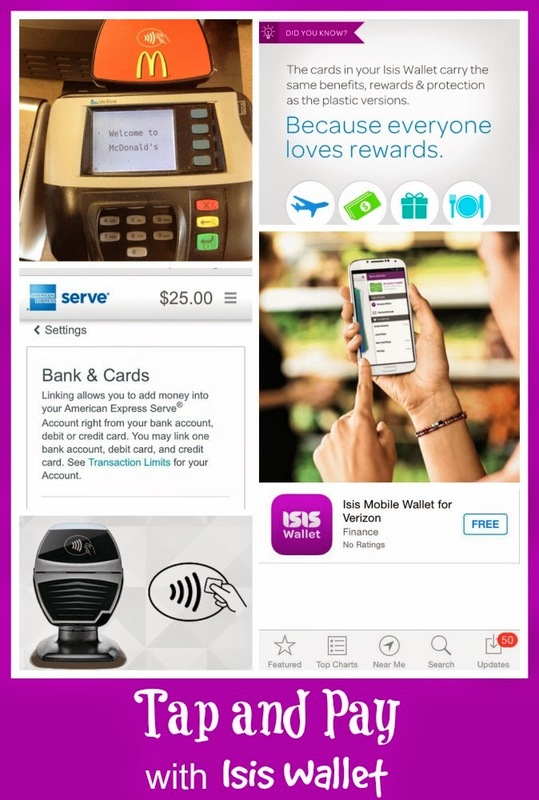 Besides the tap and go ability to pay, the Isis Wallet offers access to savings and deals including free smoothies from Jamba Juice, discounts at Verizon, as well as a $1 back for every tap using the American Express Serve card. I'm really excited to see more stores accept this form of payment especially some of my favorites like Target, Starbucks, Kohl's, Movie theatre, Walmart and Sonic. I love that we can get discounts and freebies with the app and can't wait to see stores jump in on this soon. I really think that this app would be great for teens, too! I have 3 teens and I can see how this app would be helpful for them to have when they go out shopping. You can add a set amount of money in the app and even set up a safe guard amount incase they spend over the amount in the wallet. As money is spent a current balance is given. I can see how this would be helpful for the teens to see how much they are spending and even saving with the app. As a parent I love that I can give them their allowance, money to pick up groceries or add gas to the car right on their phone. Is this something you would use with your teens? Does this app sound like something you would use with your smartphone? 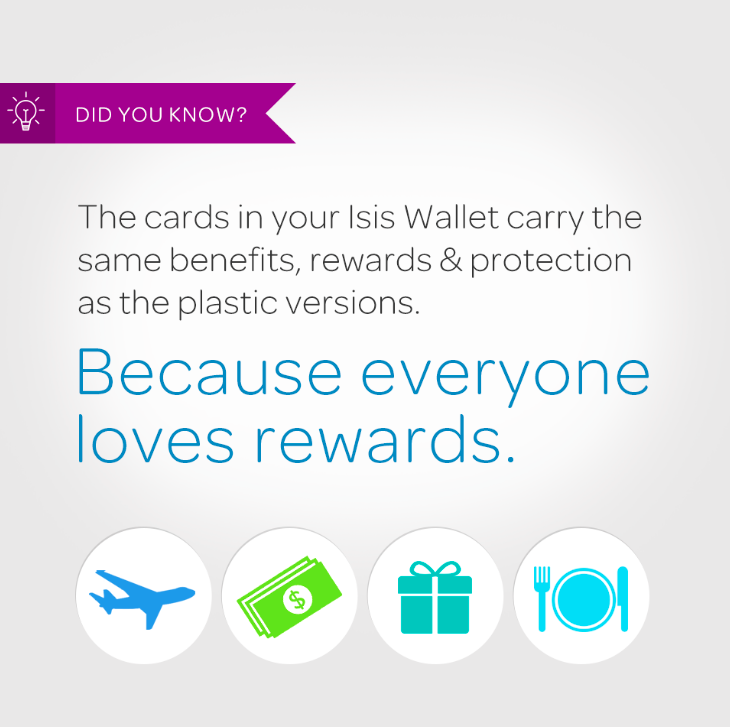 Check out Pay with Isis and download the app to see what all you can do with the wallet. In the mean time I'll be out using my wallet and collecting my $1 rewards from American Express Serve card and free smoothies at Jamba Juice. How cool! This technology is very handy and I want to try it!